This post will include mini-reviews for the following books: Everneath by Brodi Ashton, Immortal Rules by Julie Kagawa, Seeking Crystal by Joss Stirling and The Last Echo by Kimberly Derting. Everneath is a book that really pulled me out of a bad reading slump, and it appeared to pull me out effortlessly. It was the absolute perfect timing for me to have picked up Everneath, and I'm so glad that I gave this book a chance. I wanted something really romantic and emotional, a book that I could be absorbed in entirely for as long as I was reading it and forget about everything else - and Everneath was exactly that for me! I'll admit that I didn't fully understand Nikki's choice to go underground and have her emotions fed on by some creepy immortals, but I chose to suspend my disbelief and just go with it. Especially as it made for some wonderfully angsty reading material. And while I've seen other reviewers say they'd fallen for Cole, the immortal who has targeted Nikki and to whom she'll go back to in 6 months time, I have to say - I found him creepy. Jack, Nikki's ex-boyfriend is more my thing. I loved the tension between Nikki and Jack. They both obviously still care about each other, but just couldn't admit it to each other for ages. I love them together. And I can't wait to get back to this story in the sequel, Everbound. Initially I wasn't going to read Immortal Rules. I thought to myself, 'I'm bored of vampires, I can't take anymore' but a chance to read this book came up, and I figured that it's Julie Kagawa, why not? She completely changed my opinion of fairies with her Iron Fey series, I thought maybe I should give her a chance to make me see vampires in a new, refreshing light. And, really, how could I have doubted her? I thought she did an incredible job with this book and I cannot wait to read absolutely anything else by Julie. I loved in Immortal Rules how the story feels almost as if there are three distinct parts, each part as intriguing and fascinating as the others. When one ended, I was at once sad to see the story go in a different direction and also excited by what is to come. As this is the first book in the series, I'm really looking forward to seeing how things work out in this world and with the array of characters we meet. The beginning, which introduces us to our main character, Allison, and also to this dark and dangerous world in which vampires are in control, was exciting and gory and perfect. And each and every page had me desperate to know what would come next, what would happen? It's been a long time since I've been so enthralled by a book! Oh lordy, do I absolutely LOVE the Benedict brothers. Really and truly, I love them. And I loved this latest installment, which pairs up two of the Benedict brothers with sisters Diamond and Crystal. I really felt for Crystal, the main character of this story. She's always been treated a bit badly by her family for being a dud savant. She has no powers, she's not great with schooling. She really figures herself to have no real future, and that of course, is a feeling that is one that many including myself has felt before. But things begin to change for Crystal, when her older sister, Diamond meets her soul-finder amongst the famous Benedict family of crime-fighters. While happy for her sister, Crystal finds herself hugely annoyed by Diamond's new family, especially Xav. But in the process of planning Diamond's wedding, things go very, very wrong and Crystal and Xav will have to get over their issues to help each other out. I really loved the setting of Venice. It just seems a very romantic and magical place to fight against evil and to fall in love. I also loved the transformation of Crystal from kicked-puppy at the beginning of the book to getting used to the very different turns her life has taken. It was fun to see some familiar faces from the previous books and also to witness some different abilities and means of attack. I really hope this series continues! I know all we have left are some of the older brothers which could possibly stray out of the YA market, but I still want to know what will happen, especially after the brief sneak peek we get at the end of this book! The Body Finder series by Kimberly Derting is one of my favourite YA series of recent years. I really just love the mixture of crime solving and romance, especially as we are usually given brief insights into the mind of the killer which are interspersed into the narrative. I really do love Violet and her relationship with her family and especially her newly formed relationship with best friend, Jay. I thought this move towards working with the FBI would add an interesting twist into the series, and it has. The series has introduced us to some very interesting new characters with different abilities, though I felt like this book focused a bit more than I'd like on Rafe, who clearly has feelings for Violet. Together with Jay being significantly less of a presence in The Last Echo, I found myself enjoying the book just a teensy bit less. Even so, The Last Echo is a wonderful read. Violet is trying her best to solve this latest crime involving a serial killer in the area, and Violet must just be his latest target. I thought this book was deliciously creepy with a great mystery to solve. I still Violet as a character, the weight of her ability is a fair bit heavier in this book, and my heart went out to her. 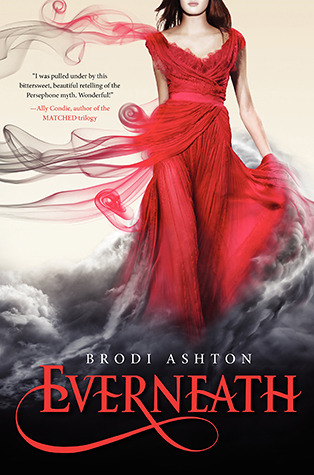 Wow, I love the cover for Everneath, it's gorgeous! Awesome mini reviews! 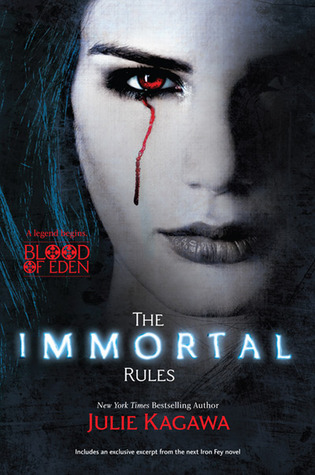 I'm reading The Immortal Rules soon and i hope i enjoy it as much as you did or even more. Hoot, hoot! Seeking Crystal! I'm happy i have been seeing this around. Many people don't know of it which is such a waste because this series is amazing! I don't see much around about the Joss Stirling series either, I really hope she writes more books! I really enjoyed Everneath too! And completely agree with you about Cole being creepy! I am definietly Team Jack all the way! I usually go for the darker, mysterious boys... but Cole was just mehh. 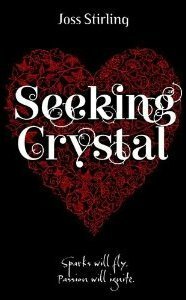 I loved TMI and can't wait to read Seeking Crystal! I've read all of the other books, so I just need to get my hands on this one! I've been really swithering about The Immortal Rules, I just can't face another vampire book, yet you're review is so positive I might actually pick it up. I also must look out the copy of Everneath that I am sure is around here somewhere. As for Seeking Crystal, I don't know if I can face it. I loved the first book in the second but HATED the second so am not sure I actually want to spend money on the third. Great post, though - I love your mini reviews and keep meaning to do more of them myself! Oh, I think if you didn't like Seeking Crystal, you probably wouldn't like this one either. There is a bit of sameness to them, but I really love them! I say go for it on The Immortal Rules! I do love mini-reviews. I've just fallen so far behind in my review writing that it feels as though it's the only way I'll be able to get clear! Mini-reviews are really great to read sometimes, they seem to be more to the point than my rambly reviews! haha, Thanks for sharing these, I loved The Immortal Rules and oh my, I cant wait to read Seeking Crystal!!!! It's worth the wait :) I love those Benedict brothers! !